According to Deloitte there will be 200m NFC enabled phones by the end of 2012. A new piece of research from Posterscope and Clear Channel reveals the applications, content and environments that consumers claim to be most valuable and relevant for NFC enabled poster interactions. It also looks at brand and advertiser product categories for which NFC-OOH experiences would be most appealing and current levels of consumer awareness and understanding. On March 10th Posterscope and Mutual Mobile hosted ‘NFC: No Freakin’ Chance?’ debate at SXSW interactive 2012, prior to this we produced the following video which demonstrates how NFC phones will change your encounters with OOH. A Tokyo department store has developed a new visual merchandising concept using a lifelike android mannequin that has shoppers stopping in their tracks. The female mannequin has over 60 facial expressions, and is connected to a Microsoft Kinect system which enables her to react and move in response to people in front of the display. 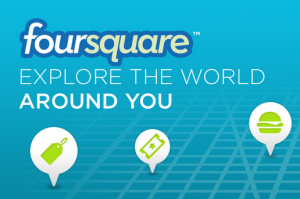 Foursquare has updated its Android app to include support for tap-and-go check-ins and P2P sharing (by tapping phones together) using NFC. 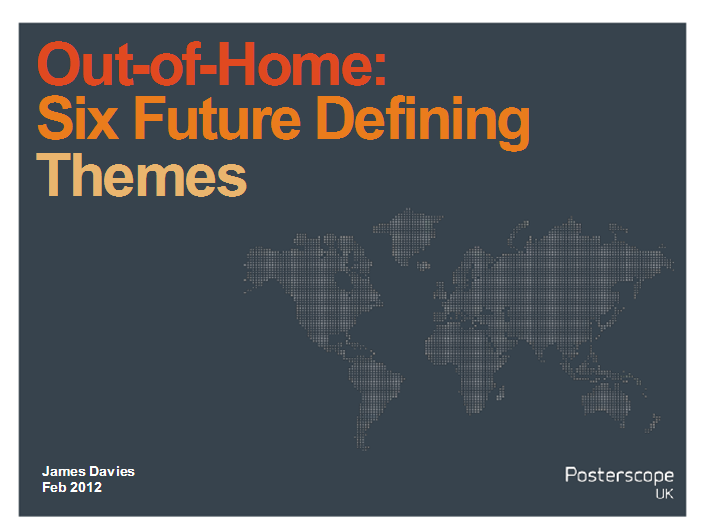 At the IAA Future of Media seminar Posterscope presented the six defining themes for Out-of-Home communications. 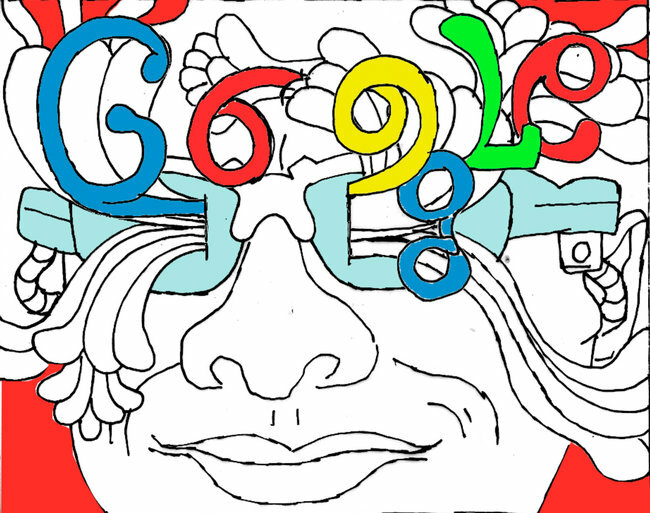 Google Glasses to launch later this year. Google is rumoured to be launching eyeglasses that will project information, entertainment and advertisements onto the lenses. The glasses will use the same Android software that powers Android smartphones and tablets, and will be equipped with GPS and motion sensors and contain a camera and audio inputs and outputs. Location information will be a major feature. 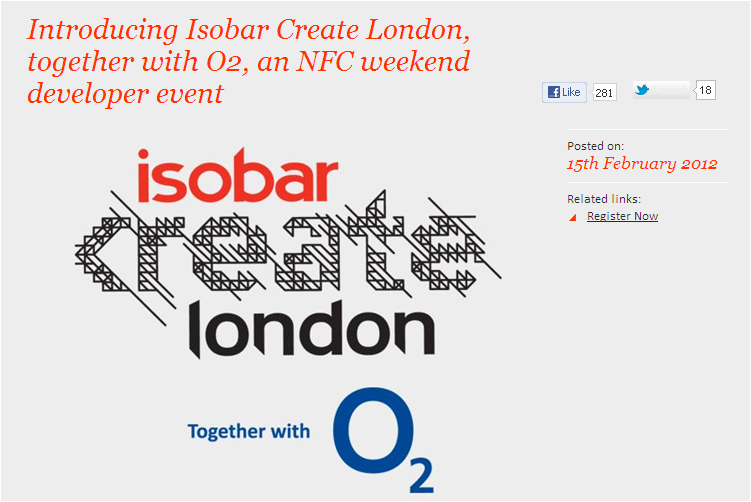 Isobar and O2 have teamed up to launch ‘Isobar Create London’ – a unique event offering developers from around the UK the opportunity to create their own NFC apps and win a kick-starter development fund plus marketing support to help launch their idea to market. Posterscope and Clear Channel are the OOH sponsors for the event.